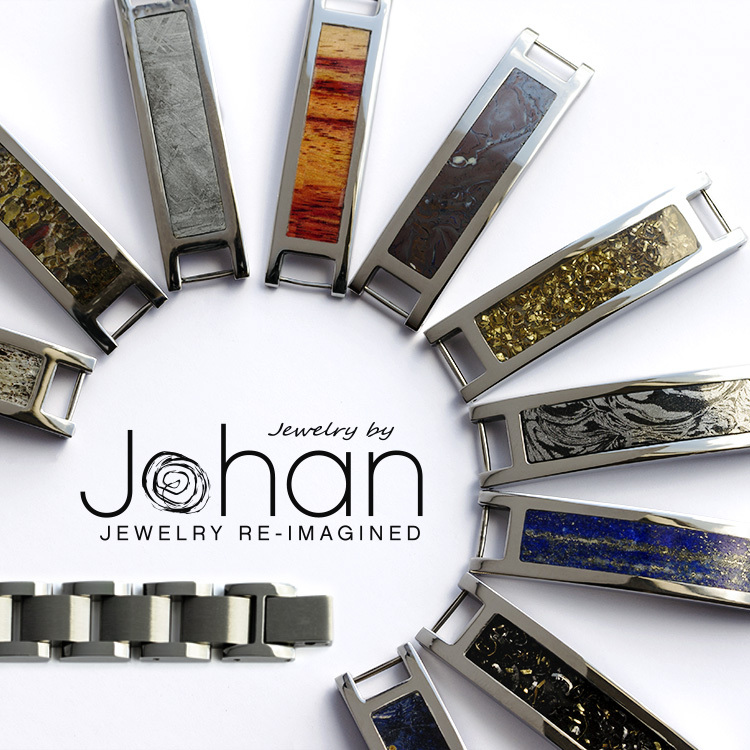 Jewelry by Johan is a Minnesota-based jewelry manufacturer and retailer that specializes in wedding jewelry made using precious and alternative metals, all gemstones, and unconventional materials such as meteorite, wood, dino bone, and antler. The company's modular bracelets offer complete customization; each of the 15 different material components are interchangeable with the bracelet links and sold separately. Oakdale, MN, June 26, 2017	(Newswire.com) - Jewelry by Johan has released its new line of interchangeable men's bracelets featuring 15 material options, including meteorite, fossilized dinosaur bone, antler and exotic woods. Customers have the ability to build their own designs by purchasing a complete 7.5", 8" or 8.5" bracelet set that includes one of the 15 available material components and the bracelet links with clasps. Additional interchangeable material components are available for purchase separately. 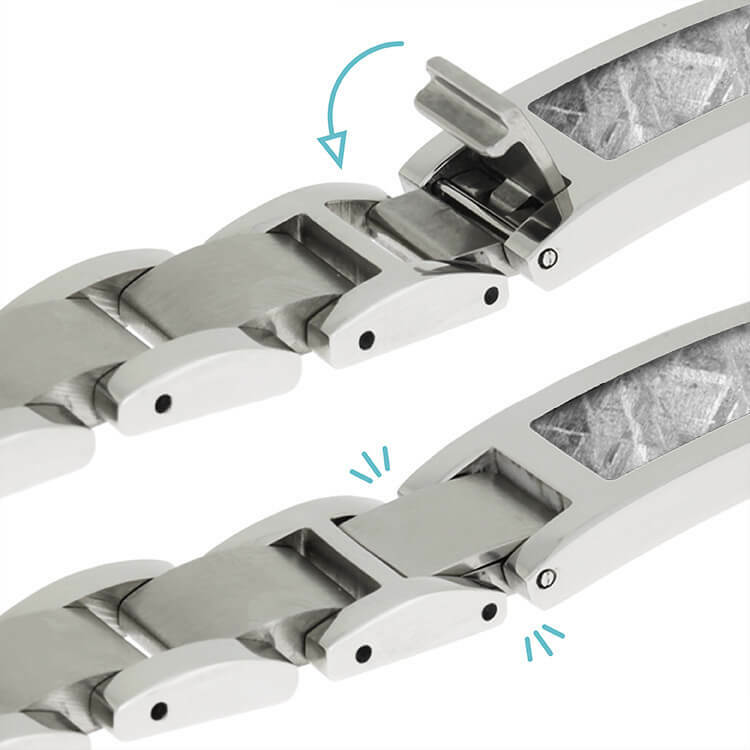 Each stainless steel linked bracelet has fold over clasps on both ends that secure the material component section. Both clasps open and close to allow for the quick interchanging of the material link components. Complete bracelet sets and individual material components are priced based on the inlay material and range from $69-$475. 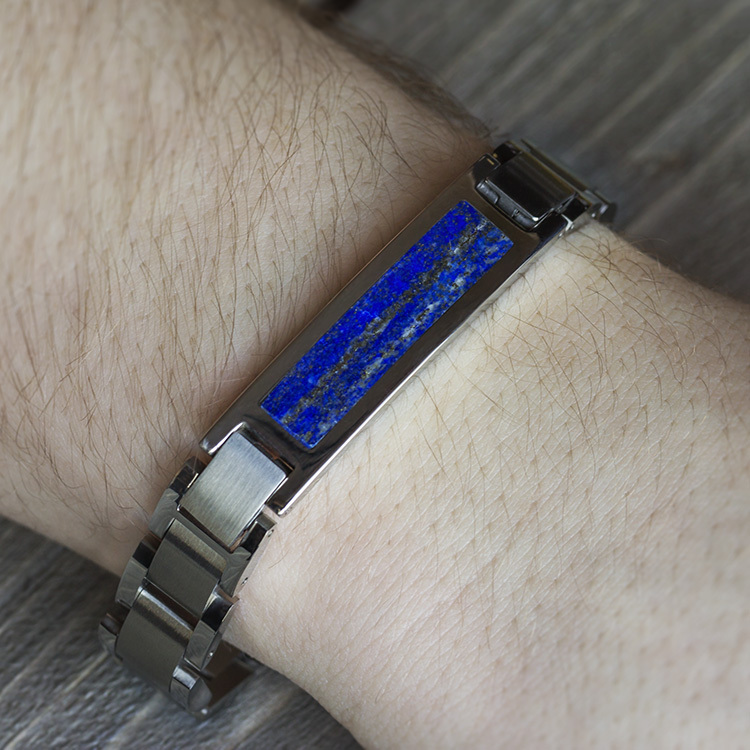 The interchangeable bracelets were created for those who want a customized accessory featuring a unique or sentimental material, but prefer it inlaid in something other than a ring or wedding band. "We created this line of bracelets in response to many requests for alternative gifts featuring meteorite, dino bone, antler and wood,” says owner and designer Johan Rust. "For our customers in particular, they make great bridal party gifts because they can be ordered with the same material as the bride's or groom's rings and engraved with a special message." Personalized, text engraving service is available as a complimentary add-on. Names, dates, or other sentiments can be laser-engraved to the backside of the material component. Jewelry by Johan's interchangeable bracelets are hand-crafted in Minnesota and are made-to-order to the customer’s specifications. 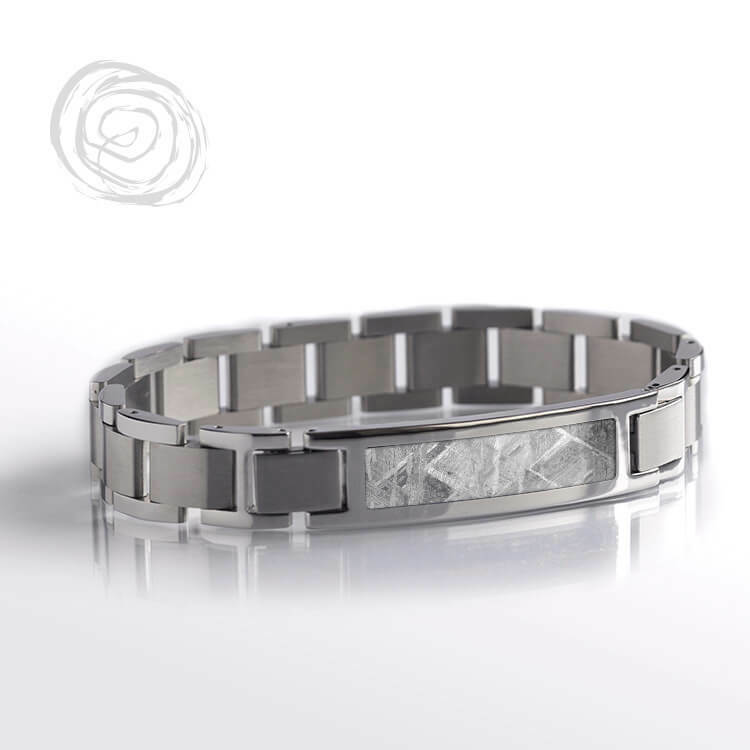 The company provides descriptions and detailed pricing for the bracelets on the website, where customers can select their style, contact the company for unique specifications, and make a purchase. To learn more, visit JewelrybyJohan.com. Sign up for email updates from Jewelry By Johan.